The mitzvah of shiluach ha-kan, commanded in this week’s parashah, is a mitzvah which is quite difficult to understand: If one happens upon a nest where a mother bird is roosting on her young birds or eggs, he should not take the eggs or young birds while the mother is roosting on them. Instead, he should send the mother away and then take the young birds or eggs for himself. While the Torah says that fulfillment of this mitzvah is “good for you and will prolong your days,” the Torah does not explain the rationale behind it, and indeed, Chazal(1) tell us that it is a gezeiras ha-kasuv, a Torah decree that we do not understand. * Rambam(2) explains that shiluach ha-kan shows G-d’s mercy on His creations, similar to the prohibition against slaughtering a mother animal and her offspring on the same day, as animals instinctively love their young and suffer when they see them slaughtered or taken away. * Ramban,(3) who rejects Rambam’s explanation, writes that the concern is not for the animal’s feelings, but rather to inculcate compassion in people; to accustom people to act mercifully to each other. * R’ Bechayei(4) writes that this mitzvah symbolizes the concept that people should avoid doing anything that will destroy a species, for to slaughter mother and children on the same day is akin to mass extermination. * The Zohar(5) explains that this mitzvah is meant to awaken and intensify Hashem’s mercy on His creations. The pain which the mother bird suffers when she is sent away and forced to abandon her young “awakens the forces of mercy in the world” and releases an outpouring of mercy from the heavens above which alleviates all kinds of human suffering. While the explanations cited above give us some insight into the rationale for shiluach ha-kan, we are still left with many unanswered questions: If someone happens upon a nest but has no interest in the young birds or eggs, should he still send away the mother and take the eggs? Should one search for such a nest so that he may fulfill this mitzvah? 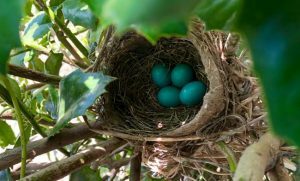 What if the nest is in a tree in one’s back yard? These and other issues will be discussed below. QUESTION: How does one fulfill the mitzvah of shiluach ha-kan – sending the mother bird away from her nest – correctly? QUESTION: Is the mitzvah of shiluach ha-kan obligatory or optional? In other words, if one observes a mother bird roosting on a nest but has no need for the eggs [or young birds] – is he still obligated to cast away the mother bird and take the eggs in order to fulfill the mitzvah? DISCUSSION: A minority view holds that even one who has no need for the eggs [or young birds] is obligated to send the mother bird away and establish [at least temporary] halachic ownership of them. (12) According to this view, the mitzvah of shiluach ha-kan is an obligation similar to the mitzvah of hashovas aveidah, returning a lost item to its owner. (13) But most poskim reject this approach and rule that one is obligated to send away the mother only if he wishes to keep the eggs or baby birds. (14) Still, while we rule that one is not obligated to send the mother bird away if he has no interest in the eggs or young birds, many poskim recommend that one do so nevertheless. (15) In addition to fulfilling a mitzvah for which the Torah promises the reward of longevity, there are many other additional benefits and rewards that Chazal associate with the proper fulfillment of the mitzvah. Being blessed with children,(16) finding the proper shidduch,(17) being blessed with the means to buy or build a new house,18 and hastening the arrival of Moshiach(19) are among some of the rewards that are promised to those who fulfill this mitzvah properly. QUESTION: Does one recite a blessing when performing the mitzvah of shiluach ha-kan? Does one recite the blessing of shehecheyanu? QUESTION: Does the mitzvah of shiluach ha-kan apply to all roosting mother birds? 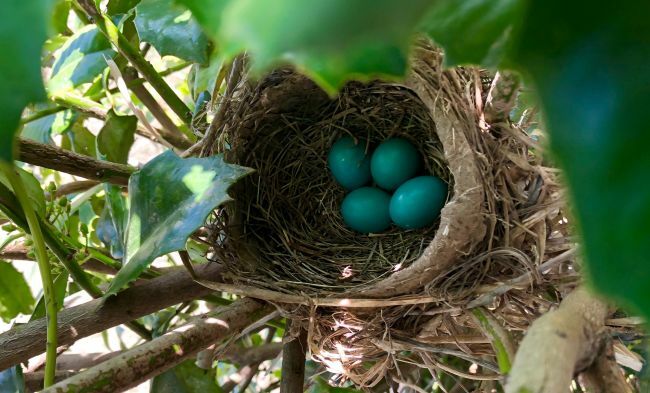 * While the father of the eggs or young birds also roosts on the nest, usually during daytime hours only, the mitzvah of shiluach ha-kan applies to a mother bird exclusively. QUESTION: Does the mitzvah of shiluach ha-kan apply to birds that one owns? QUESTION: Based on the above information, how is the mitzvah of shiluach ha-kan actually performed? In order to be sure that the mother is the one roosting over the nest and not the father, shiluach ha-kan should take place between sunset and sunrise, since it the mother who roosts on the nest in the evening and night hours. After ascertaining that the mother bird is of a kosher species and that the nest does not belong to anyone else, one should quietly34 approach the nesting area(35) and gently(36) chase the mother bird away from the nest by using one of the methods described earlier. If the mother bird comes back repeatedly before the eggs are taken, she must be repeatedly shooed away. Once the mother is gone, a wooden spoon should be used to carefully lift the eggs out of the nest, making sure not to break them. One should then lift up the spoon approximately 10-12 inches, in order to halachically “acquire” the eggs. [If the nest contains young birds, one should use his hands to gently lift them out. (37)] He then may return the eggs to the nest. The mitzvah has been completed. 3 See also Rashbam, Ibn Ezra and Chezkuni for a similar approach. 4 A similar explanation is offered by the Chinuch (545) and Ralbag. 5 Quoted by R’ Bechayei and by Chavos Yair 67. See explanation in Beiur ha- Gra to Mishlei 30:17 and in Imrei Noam, Berachos 33b. 6 Chazon Ish Y.D. 175:2. 7 Many contemporary poskim, among them the Satmar Rav, Harav Y.Y. Kanievsky, Harav Y.Y. Weiss, Harav S.Z. Auerbach, Harav E.M. Shach and Harav S. Wosner were all seen performing shiluch ha-kan by banging on the nest with a stick until the mother bird flew away. See also Teshuvos v’Hanhagos 1:329. 8 If, however, no action was taken to cast the mother away but she flew off on her own, the mitzvah is not fulfilled. 10 Beis Lechem Yehudah, Y.D. 292; Chasam Sofer O.C. 100; Aruch ha-Shulchan Y.D. 292:4; Chafetz Chayim (Sefer ha-Mitzvos, 74) Chazon Ish Y.D. 175:2. 11 Harav Y.S. Elyashiv and Harav C. Kanievsky, quoted in Shaleiach Teshalach, pg. 48. 12 Chavos Yayir 67 and Mishnas Chachamim, quoted by Pischei Teshuvah Y.D. 292:1; Aruch ha-Shulchan Y.D. 292:1-2. 13 In other words, just as one may not ignore a lost object that he happens to see but rather is obligated to return it to its owner, so, too, one who happens to see a mother bird roosting on its eggs or young birds is obligated to send it away and take ownership of her offspring. 14 Chasam Sofer O.C. 100; Avnei Nezer O.C. 481; Meromei Sadeh, Chulin 139b; Chazon Ish Y.D. 175:2. 15 See Birkei Yosef Y.D. 292:6 and Aruch ha-Shulchan 1. 16 Medrash Rabbah and Tanchuma, Ki Seitzei, 6:6. 17 Yalkut Shimoni, Devarim, 925. 18 Medrash Rabbah and Tanchuma, Ki Seitzei, 6:6. See Klei Yakar, ibid. 19 Yalkut Shimoni, Devarim, 930. 20 See Pe’as ha-Shulchan (Eretz Yisrael 3-20) and Aruch ha-Shulchan Y.D. 292:10 who rule that a berachah is recited. See also Pischei Teshuvah Y.D. 292:2 that some recite shehecheyanu as well. 21 See Pischei Teshuvah Y.D. 292:2 and Binyan Tziyon 14. 22 As recorded by all of the contemporary poskim mentioned earlier in note 2. 23 Beis Lechem Yehudah, Y.D. 292 and Maharam Shick 289-291. 24 Harav C. Kanievsky, quoted in Shaleiach Teshalach, pgs. 32-34. Aruch ha- Shulchan, however, quotes the text of the berachah as al shiluach ha-kan, while Maharam Shick writes al mitzvas shiluach ha-kan.
27 R’ Bechayei, Ki Seitzei 22:7. 28 See Shaleiach Teshalach, pg. 54, for the various views on this subject. 29 Chasam Sofer O.C. 100. 32 Igros Moshe Y.D. 4:45; Harav N. Karelitz and Harav C. Kanievsky, quoted in Shaleiach Teshalach, pg. 61. 33 Chazon Yechezkel, Tosefta Chulin, pg. 38; Harav Y.S. Elyashiv and Harav C. Kanievsky, quoted in Shaleiach Teshalach, pg. 56. See Kan Tzippor, pgs. 313-315 for an elaboration. 34 So that the mother bird does not fly off before you have a chance to send her away. 35 Some recite a special l’shem yichud before performing the mitzvah; see text in Kan Tzippor, pg. 138. 36 Otherwise the mother bird may panic and break the eggs or take them away with her. 37 If the young birds fit snuggly into one’s hands, there is no need to lift them up 10-12 inches, since, halachically speaking, one’s “hand” acquires the young birds for him; Beiur Halachah 366:9, s.v. zurich.